Google Earth is a virtual 3D global mapping and geographical information software program which provides real-time images of Earth and different countries maps via satellites and other sources. If you're already using Google Earth Free version, then its best time to update / upgrade to Google Earth Pro for Free and Legally with genuine valid license key. 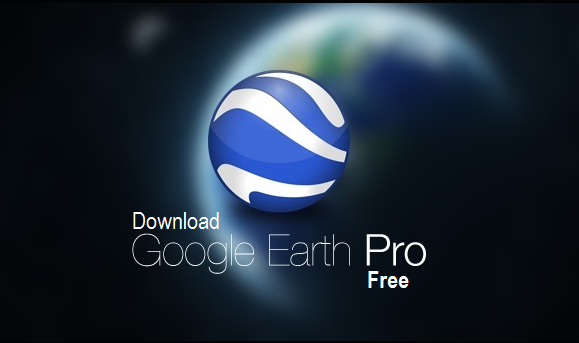 Now users can officially Free Download Google Earth Pro Version Legally for Windows and Mac via Direct Links. Google is now offering Pro version of Google Earth costing $399 per year absolutely free for every users including general public, businesses, enterprise and commercial users with the saving of $399 at zero cost. Now users can access Google Earth Pro full features and functionalities without paying any license key fee. If you want to know How to Install Google Earth Pro Version for Free on Windows and Mac with Genuine License Key for Activation, then follow our step-by-step guide below. Just download and install googleearthprowin.exe file on Windows and googleearthpromac-intel.dmg file on Mac OS X operating systems, and when software asked for "Username" and "License Key", just enter your Gmail ID (avoid Yahoo & Outlook email addresses) in the username box with above mentioned Official License Key in the license key box and then click "Log In" button. Google Earth Pro is available in different multiple languages i.e. Arabic, Brazilian Portuguese, Bulgarian, Catalan, Chinese-simplified, Croatian, Czech, Danish, Dutch, English (US / UK), Farsi, Filipino, Finnish, French, German, Greek, Hebrew, Hindi, Hungarian, Indonesian, Italian, Japanese, Korean, Latin American Spanish, Latvian, Lithuanian, Norwegian, Polish, Portuguese, Romanian, Russian, Serbian, Slovak, Slovenian, Spanish, Swedish, Thai, Turkish, Traditional Chinese, Ukrainian and Vietnamese. The official Direct Download Links of Google Earth Pro Offline Setup Installer is available below. For online installer, Click Here.